Imagine an airplane neck pillow, but instead of a cushioned place to rest your head, it’s a speaker that wraps around you. 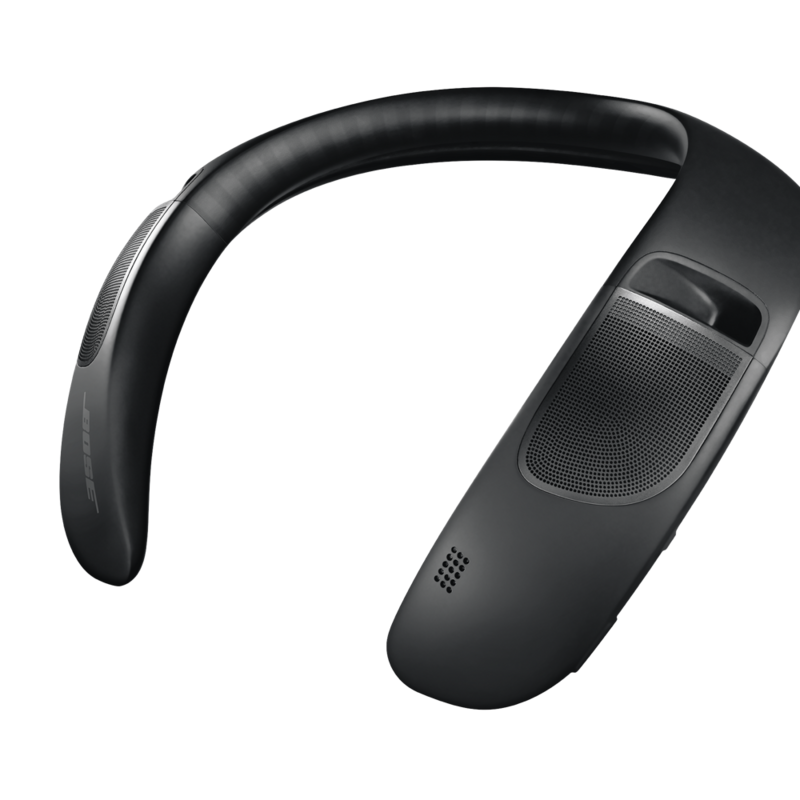 Bose made that thing, and it’s called the SoundWear Companion Wearable Speaker. The device pairs over Bluetooth to your phone, meaning it can take calls and work like any other Bluetooth speaker, except for the fact that you’re wearing it. It can also be controlled through the company’s companion iOS / Android app. Bose says the idea behind this gadget is that you might want music on without blocking out the rest of the world. It’s also supposed to be convenient because it’s on your body. LG created a similar device last year, called the LG Tone Studio, although its version includes earbuds to take a public listening session private. It costs $229. Bose’s version costs $299.95. I’m sort of shocked this gadget exists, solely because it feels like a bold creation, but I guess it does make sense. If you’re in an office, you’ll definitely need and / or want headphones, just maybe not noise-canceling ones. But if you work from home or anywhere where playing music out loud is socially acceptable, and you don’t want to invest in a multi-room speaker setup, the neck speaker accomplishes the same goal: music everywhere you go. Still, there’s something about blasting your own music in public that’s kind of annoying, which seems to be what Bose is suggesting wearers should do by marketing the speaker to people who need to be present in the moment. I just think of the people on their bikes who use loud speakers in their backpacks. I get it, you want to listen to music while biking safely, but maybe I don’t want to hear your music? That said, the neck speaker could be great for biking, so I don’t fault you if you want these and don’t care how everyone else feels. Gadgetry is for being selfish.